There is a river within each of us. An endless flow of matter and molecules, a perpetual cascading of ideas, hopes, transgressions, and fears. We Enter Earth through water, and without clean water we will Exit. These are the water protectors. Since April, over 200 indigenous tribes have gathered at the Standing Rock Reservation in North Dakota to protest against construction of the Dakota Access Pipeline. The pipeline, if built, will cross beneath the Missouri River through sacred burial lands, threatening the water supply of the Standing Rock Sioux tribe, as well as tens of thousands of people downstream. The pipeline was originally planned to cross the Missouri River north of Bismarck however during an environmental review The U.S. Army Corps of Engineers discovered the pipeline posed a threat to Bismarck’s water supply, among other issues, and rerouted the project to run downstream. 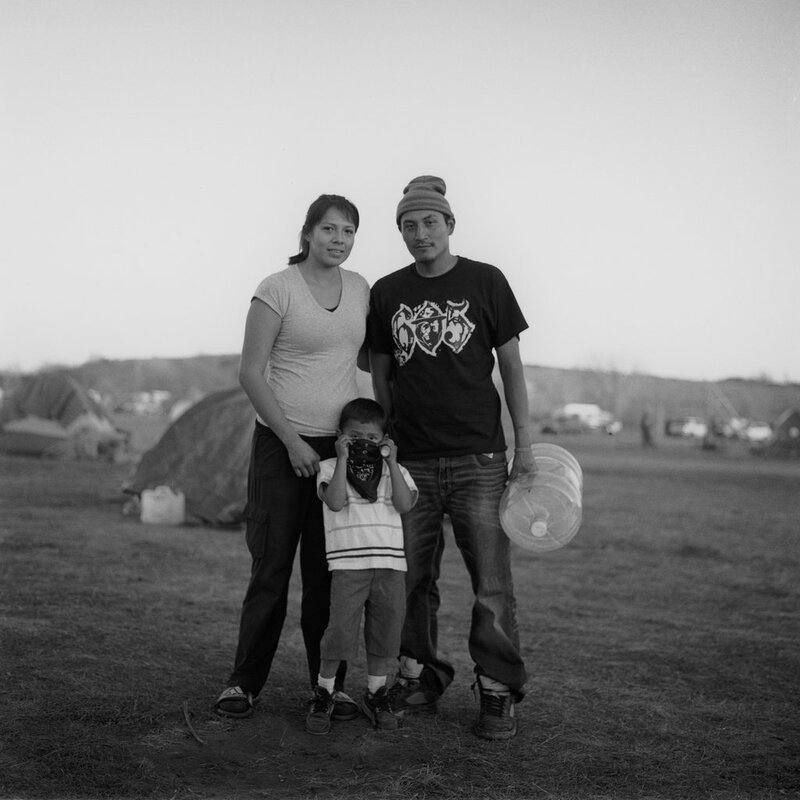 These photographs were made at the Oceti Sakowin camp in Standing Rock, North Dakota in November, 2016 and printed in Livingston, Montana using the gelatin silver process. All proceeds will go to support the Mni Wiconi Women’s Health field clinic at Oceti Sakowin.